The inaugural ND Energy Research Symposium will be held April 18, featuring keynote speaker Sally M. Benson, co-director of the Precourt Institute for Energy at Stanford University, ND Energy Faculty who recently received Early CAREER and Large-center awards, and our associated graduate students and postdoctoral scholars during a poster session and awards ceremony on energy-related research projects at Notre Dame. The symposium will begin at 8:00am and continue until 5:30pm. Registration is not required but appreciated to help plan for adequate food, refreshments, and handout materials. If you have any questions or need additional information, please do not hesitate to contact Peter Burns or any member of the organizing committee: Ginger Sigmon, Barbara Villarosa, and Koby Keck. You can register for the event and find more details on the ND Energy website. 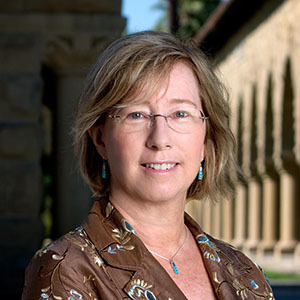 Sally M. Benson joined Stanford University in 2007. She holds three appointments at Stanford: professor of energy resources engineering in the School of Earth, Energy & Environmental Sciences; co-director of the Precourt Institute for Energy, the campus-wide hub of energy research and education; and director of the Global Climate and Energy Project (GCEP), a pioneering university-industry partnership to develop innovative, low-carbon energy supplies to meet global energy needs. An internationally recognized scientist with extensive management experience, Professor Benson is responsible for fostering cross-campus collaborations on energy through the Precourt Institute and guiding the growth and development of GCEP’s diverse research portfolio. A groundwater hydrologist and reservoir engineer, Professor Benson is widely regarded as a leading authority on carbon capture and storage and emerging energy technologies. In 2012, she served as a convening lead author of the Global Energy Assessment (GEA), a multinational project coordinated by the International Institute for Applied Systems Analysis. The GEA was the first fully integrated assessment that analyzed energy challenges, opportunities and strategies for developing, industrialized and emerging economies. The final GEA report presents a new global energy policy agenda, one that transforms the way society thinks about, uses and delivers energy. Professor Benson’s research interests include technologies for a low-carbon future and net energy analysis, a scientific method that weighs the energetic cost of energy production against the energy produced, with the goal of quantifying the overall energy efficiency of the production process. She and her GCEP colleagues conducted a groundbreaking series of net energy analyses calculating the energetic costs of wind turbines, solar photovoltaics and grid-scale renewable energy storage. Professor Benson also leads a research laboratory at Stanford that studies fundamental aspects of geologic carbon dioxide (CO2) sequestration in saline aquifers. In 2005, she served as a coordinating lead author of a special report on CO2 capture and storage published by the Intergovernmental Panel on Climate Change (IPCC). Professor Benson contributed to the reports of the IPCC, which was awarded the Nobel Peace Prize in 2007. Haifeng Gao, assistant professor in Chemistry and Biochemistry, 2016 NSF Early CAREER Award on “Develop Unprecedented Chain-growth Polymerization Method to Access Structurally Defined Hyperbranched Polymers.” Gao will develop a new polymerization method based on copper (Cu)-catalyzed azide-alkyne cycloaddition (CuAAC) polymerization to form polytriazole-based hyperbranched polymers in one pot. Gao joined the Notre Dame faculty in 2011. Amy Hixon, assistant professor in Civil & Environmental Engineering & Earth Sciences, 2017 DOE Early CAREER Award on “Understanding the Chemical Complexity of Multi-component Systems: Uranium Polyoxometalates as Nanosorbents.” Hixon is working to better understand the physical and chemical properties of the actinide elements, mineral surfaces and how the two interact so they can better predict actinide behavior in natural and engineered systems. Hixon joined the Notre Dame faculty in 2013. Vlad Iluc, assistant professor in Chemistry and Biochemistry, 2016 NSF Early CAREER Award on “Nucleophilic, Radical, and Electrophilic Palladium Carbene Complexes: New Types of Reactivity For Palladium”. Iluc will develop new tools for promoting the selective reaction of hydrogen atoms, which are bonded to common elements like silicon, carbon, oxygen, nitrogen, and boron. Iluc joined the Notre Dame faculty in 2011. Jennifer Schaefer, assistant professor in Chemical and Biomolecular Engineering, 2017 NSF Early CAREER Award on "Fundamental Materials Studies on Fast Ion Diffusion in Model Side-chain Ionomers.” Schaefer aims to synthesize novel polymers that will allow for specific hypotheses regarding ion transport to be investigated by in-depth material characterization. Schaefer joined the Notre Dame faculty in 2015. Na Wei, assistant professor in Civil & Environmental Engineering & Earth Sciences, 2017 NSF Early CAREER Award on “Renewable Biocatalysts for Degradation of Persistent Organic Contaminants Using Synthetic Biology.” The goal of the research is to enable the development of more effective tools to implement biocatalysis using synthetic biology for addressing pressing water sustainability challenges. Wei joined the Notre Dame faculty in 2015. William Schneider, Center for Innovative and Strategic Transformation of Alkane Resources (CISTAR), a National Science Foundation Engineering Research Center, focused on developing innovative process designs for economic production of liquid chemicals and transportation fuels from shale gas hydrocarbons. Peter Burns, Actinides Center of Excellent, a Department of Energy National Nuclear Security Administration Center of Excellence, focused on nuclear chemistry and radioactive materials through the integration of physical experiments and computer simulation, enabling advanced experimental activities where students will be trained in key areas of stewardship science. Graduate students and postdoctoral scholars are invited to share their energy-related research projects during the symposium’s poster session.